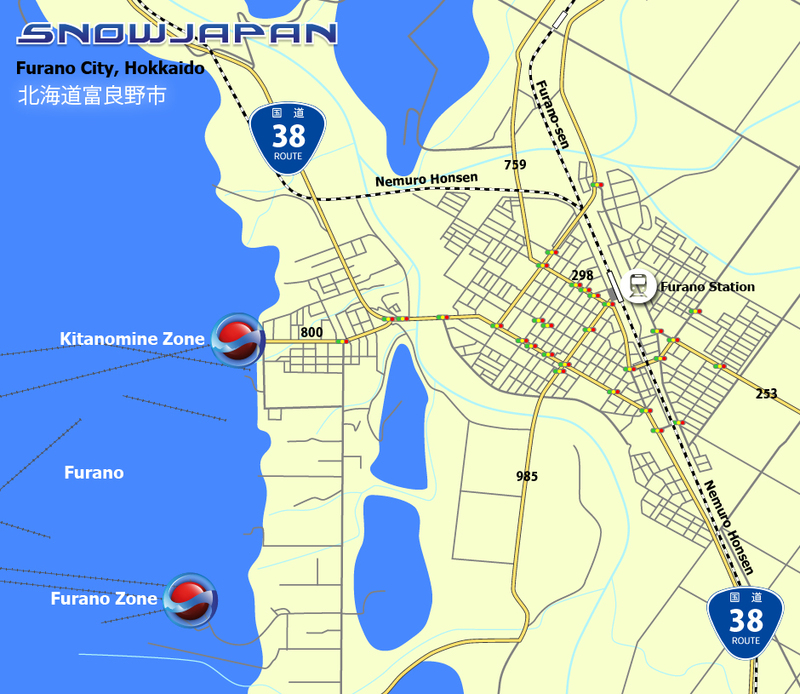 Furano City is located in central Hokkaido, between the Tokachi and Yubari mountain ranges. Furano is a popular year-round tourist destination. Apart from the famous ski resort, the area is famous for it's lavender fields and other flowers. The Kitanomine base of the ski resort is located about 3km from Furano Station and just 1km from Route 38 at it's nearest point, while the Furano base is around 6km from the station. To avoid the expressway altogether, take Route 12 from Sapporo towards Mikasa/Takikawa. From Asahikawa City to the north of Furano, head south using Route 237. Furano is clearly signposted from Asahikawa. Head up to Asahikawa City using Route 237 and then take Prefecture Road 140 towards Aibetsu. At Aibetsu join the Aibetsu Kamikawa Road and continue to Kamikawa Sounkyo. Exit the road and get onto Route 39 and head towards Sounkyo. The Niseko resorts are located to the west of Sapporo city just over 200km from Furano. The most convenient way to get there is to take the Hokkaido Expressway back to Sapporo, changing over to the Sasson Expressway at Sapporo JCT. After about 35km, exit the expressway at Asari IC exit. Turn right at the exit, and after a few hundred metres turn right again onto Prefecture Road 956. After about 4km, turn left onto Route 393 (also known as the Askaigawa National Highway). The road turn off for Kiroro resort is about 17km along this road. For Niseko (and Rusutsu), continue on Route 393 towards Kutchan which is clearly signposted. For detailed information on how to get to Furano by train and public transport, please go to this section.